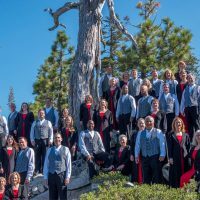 The Sacramento Master Singers, this region’s most accomplished choral chamber ensemble, presents "A Master Singers Christmas". Conductor Ralph Hughes has searched the globe for traditional carols and newly-minted holiday songs to share with the choir’s devoted audiences. The opening candlelight processional will feature Eric Whitacre’s mesmerizing “Lux Arumque,” celebrating its 15th anniversary. The program will also include the delightful “Winter Songs” by Ola Gjeilo and the comforting “How Still He Rests” by Brent Pierce. Join Harris Center for a magical, uplifting celebration of the season.